Forza Horizon 4 review: a top marque, or a beaten up banger? With a beautifully realised version of Britain to explore and literally hundreds of wicked whips to collect and drive, Forza Horizon 4 is a car enthusiast's dream game, consistently delivering pure driving pleasure. The perfect mix of arcade and simulation, this is 2018's best open-world racing game. 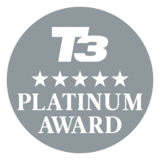 We love fast cars and living the luxe lifestyle here at T3.com and, as such, we frequently drive some of the most premium, performance vehicles on the market. Recent examples include the ludicrously fast Audio R8, terrifying Caterham 310R, and "Spitfire on wheels" Jaguar F-Type SVR. And that's saying nothing about our hefty track experience, either, such as when we threw the 2017 Nissan GT-R around Circuit de Spa-Francorchamps. Basically, the T3 team knows a little bit about driving performance marques, which is why I was particularly excited to get my hands on Forza Horizon 4, the latest iteration of Playground Games' open world racing game. Not only does Horizon 4 promise to deliver over 450 performance vehicles to drive around in and customise, but this year - excitedly for us Brits - you get to put pedal to the metal in Britain itself, that so green and pleasant land. Can Forza Horizon 4 deliver an immersive gaming experience that successfully gives you a taste of driving these performance cars in real life, while also maintaining a pick-up-and-play arcadeyness that makes it approachable, too, just as past iterations have done? The Xbox One and Windows 10 PC exclusive Forza Horizon 4 releases on September 28, 2018 providing you purchase the Ultimate Edition, with comes with early access. If you purchase the Deluxe or Standard Edition of the game, though, then the game unlocks on October 2, 2018. The different editions of the game come with various tiers of extras (see above image), with the more expensive editions coming with more perks and content. Britain with dynamic seasons looks stunning in Forza Horizon 4. Forza Horizon 4 is set in Britain, with an interesting, surreal mashup of the Lake District, the South West, and the Scottish city of Edinburgh and its surrounding environs rolled together top create a large open world environment for you to drive around and explore. This, if you are a local to Britain and have visited these destinations, can be quite dreamlike in Forza Horizon 4, as within minutes you can drive from Derwentwater in the Lake District to Edinburgh City Centre in Scotland. One of Forza Horizon 4's numerous player homes, which when bought can be used as a car collecting base. Throughout the landscape, which I have to say I was very, very impressed with in terms of look and feel, with everything from the roads and signs, to buildings and dry stone walls, and onto weather and landmark attractions, evoking Britain. Even the way the light falls in the various seasons seems accurate to England and Scotland, and this definitely adds to the immersion. All sorts of vehicles and race types are available in Forza Horizon 4. What also helps create the illusion of living a dream lifestyle, aside from burning around beautiful Britain in a series of incredibly expensive cars, is Horizon 4's selection of "Homes", virtual abodes dotted throughout the map that you can buy to act as a base for your rampant car collecting, tuning, and photograph taking in the game's accomplished photo mode. These houses range in size and value, with some of the more expensive requiring serious amounts of in-game credits. Forza Horizon 4's map. The City of Edinburgh is very nicely modelled, and delivers plenty of scope to race up and down the Royal Mile. Core gameplay in Forza Horizon 4 works in a similar way to past iterations, with the player welcomed to the "Horizon" racing festival where they are then, prologue completed, allowed to partake in a vast series of events and challenges to earn both currency to spend on new cars, car upgrades, and abodes, as well as reputation points, which is how the player progresses through the game's campaign. Win races and beat challenges and you get reputation points, which when you've drummed up enough by progressing through event type tiers (such as stunt driving, street racing, and off-road rally competitions), unlock landmark events which, once completed, allow you to progress through the game. Throw in the ability to challenge any computer controlled or real human controlled car to race at any time, and you've got the core structure of Horizon 4. The big difference this year compared to Forza Horizon 3 is the addition of dynamically changing seasons, which dramatically alter how the landscape looks, the type of weather, and how vehicles handle. Most people will experience these shifting seasons first by playing through the game's single-player content, which sees events held over all four seasons, however when the game goes live on September 28th, seasons will change each week on Thursday at 14:30 UTC, which I am sure will help keep things fresh for extended online play. Landmark events often involve crazy set-piece action. I was incredibly impressed with how the seasons change the feel of driving in Forza Horizon 4, and each offered its own unique challenges in terms of racing and tuning my fleet of vehicles. The in-car perspective is very immersive, with the engine sound differing from when viewing the car from a 3rd person perspective. And, talking of vehicles, boy oh boy does Forza Horizon 4 absolutely knock it out of the park in terms of selection. There are over 450 vehicles of all different types and classes to unlock and drive in Horizon 4, with a simply monstrous catalogue to browse through at your leisure. All the top makers are there including the likes of Ferrari, Pagani, Bugatti, Lamborghini, Alfa Romeo, BMW and Audi, as well as a dump truck load of more specialist makers, too, and the historical selection of vehicles is also top draw, with vintage classics going all the way back to the early 20th century available to get behind the wheel of. The selection of cars available in Forza Horizon 4 is huge. The upgrade, modification, and customisation system on offer in Forza Horizon 4 is also very detailed, with almost every aspect of most makes completely customisable (certain cars have more fixed specs, while others allow massive changes to be made). This meant that T3.com's Lancia Stradale got the mother of all make overs as soon as I'd drummed up enough credits to do so (close to 60,000! ), with everything from the engine intake and tire width, to anti-roll bar, suspension and spoiler getting swapped up. The engine was then finely tuned for race use, with the game's built-in performance metrics and charts showing me exactly how I was changing the vehicle's characteristics. 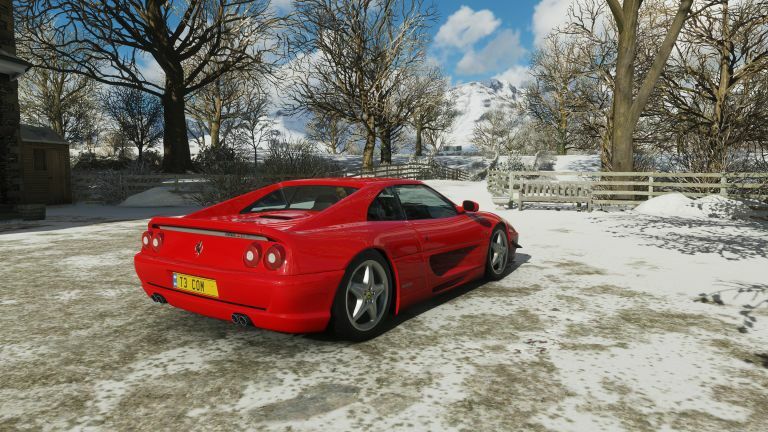 The legendary Ferrari F355 F1 Berlinetta. Seriously, if you are a petrol head then Forza Horizon 4 allows you to indulge your passion, both behind the wheel and under the bonnet. The game's in-built event maker allows you construct your own races, too, selecting route, car class and more, so once you've built up a garage of impressive marques, you can then utilise them to race opponents on your own creations. And, lastly, if that deep level of customisation wasn't enough, you can also tweak and alter every aspect of your avatar in Forza Horizon 4, from their appearance, to what they are wearing (hats, watches, gloves, shoes, the list goes on) and also how they emote in terms of animation, too, both on the podium and off it. From my time reviewing Forza Horizon 4 the thing that I'm most impressed with is the attention to detail in, arguably, the two most important aspects of an open world racer: the cars and the environment. The surreal, compressed version of Britain in Forza Horizon 4 looks absolutely stunning, with everything from the dry stone walls to windmills, dams and cottages, random barns, and onto lakes and rivers, road signs and landmarks like the Uffington White Horse realised with detail and care. And this, mixed with dynamic seasons with genuinely impressive weather effects and physics, makes the landscape very much a protagonist in Forza Horizon 4. Which is then elevated to new heights by the introduction of one of the hundreds upon hundreds of beautifully reproduced vehicles. That level of detail and immersion isn't maintained totally throughout the game, with NPC characters and voice work in the campaign generally really grating for me, with people coming across as annoying and fake and, basically, getting in the way of me driving. But that aside, driving around is an exhilarating and rewarding experience, with a wide-variety of mission types and new challenges keeping things fresh. Overall, though, this version of Horizon succeeds as it successfully partners that impressive attention to detail in terms of cars and environment, with a gameplay system that means you don't have to be racing sim fanatic equipped with Thrustmaster's T-GT racing wheel, to handle the vehicles and have fun. You can just pick up the controller, choose from the myriad of content available, and then burn some rubber. It's very much a adrenaline-inducing playground to mess around in while in fast and desirable cars. And while that's unsurprisingly not quite as visceral as doing it for real, the fact that Forza Horizon 4 gets so close is remarkable, and makes this a game not to be missed.